From left, Sunny Tillman with Mary Bradley Anderson and her father Heyward Hosch. Photo courtesy YWCA of Central Alabama. 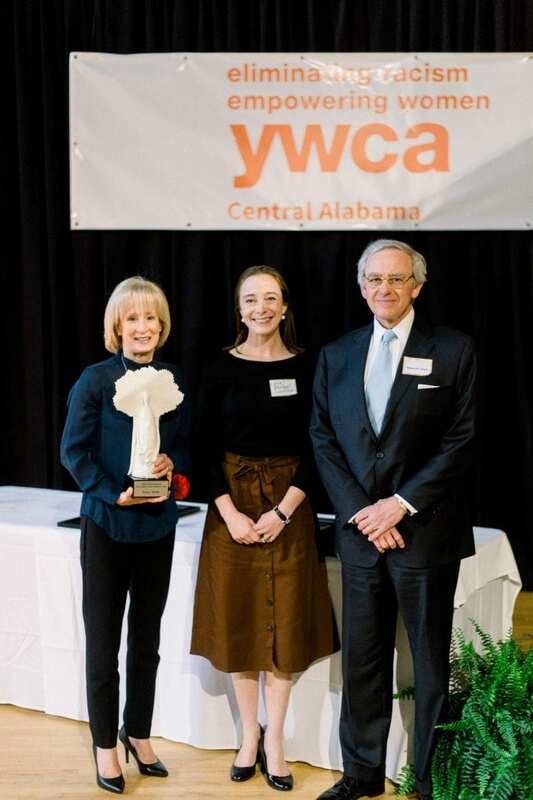 YWCA of Central Alabama named Sunny Tillman of Sun Video its 2018 Jeana P. Hosch Woman of Valor Award Recipient at its Annual Meeting on Jan. 31. Tillman, a Mountain Brook resident, has been a supporter of the organization for more than 20 years. According to a release, Tillman was selected for both her dedication to the organization – producing approximately 100 videos telling the stories of YW clients – and for being a strong business leader who, for more than 40 years, has embodied the YWCA mission of empowering women and eliminating racism. Tillman’s career began in 1978 as an on-air radio talent in Tallahassee, Florida. She then moved to Birmingham where she worked in the news department of WBRC-TV. After six years as a TV reporter and producer, she joined Alabama Power as senior writer and coordinator of video production. In 1988, Tillman started her own video production company, Sun Video, with Alabama Power being one of her first clients. After 40 years, she has started to scale back her business in order to spend more time with family. The award, named in memory of former board member Jeana Hosch, is presented each year to a member of the community who has worked tirelessly on behalf of the YW. Past award recipients include Judge Helen Shores Lee, Charlena Bray, Dot Mueller and Judge Sandra Storm. Also at the Annual Meeting, the YWCA of Central Alabama welcomed the following new board members: Mary Bradley Hosch Anderson, Anne L. Buckley, Pamela Cook, Debra H. Goldstein, Jenny Sneed and Linda Stone. Completing their terms on the board and rolling off are: Barbara Blair, Debra Blaylock, Lisa Burton, Paige Daniel, Jennifer Evans and Sireka Melton.